Director of Development[/caption] Last month, while cleaning out a file I came upon a printed copy of our popular Lady Beetle Survey from nearly 20 years ago. It was our organization’s first project involving citizen scientists surveying for native lady beetles in Canada and helped us raise awareness about the importance of insects in the web of life. Low and behold a few days later I got a delightful email from one of our members, Linda asking for a copy of that very Lady Beetle guide. She let me know that she joined Nature Canada because of the wonderful experience of participating in the survey with her children years ago... [caption id="attachment_21800" align="alignright" width="200"] Lady Beetle[/caption] “I now find myself wanting to initiate my grandson into the wonders of nature and cannot find my poster of the native Ladybird Beetles nor another of similar quality on the Internet. I have not seen a native Ladybird Beetle in several years as the Asian version proliferated by garden centres has rendered them impossible to locate. If you can help me in any way I would greatly appreciate it. 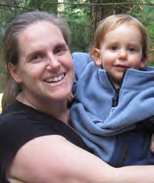 I am a monthly donor to Nature Canada and am proud to be a member!” I thought “Wow” – what great timing, I had just scanned a version of the paper copy and could immediately email it to her so she could use with her grandson right away. I thanked her too for being such a dedicated member supporting us for over two decades! But especially for caring so much about nature to pass her love of nature on first to her children and now to her grandson. It just made my heart soar to know that. 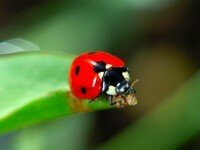 She replied that: “I'm planning on printing a copy of the poster so my grandson and I can hunt Ladybugs in my back yard. He lives in Toronto and although he has a small yard, it isn't nearly as "buggy" as Grandma’s Napanee yard which borders on a huge green space. I joined Nature Canada because of an interview I saw on the now long gone "At Discovery.ca", a science based news magazine show from the early '90's. A fellow introduced the plight of the native Canadian Lady Beetle and that started a long and satisfying relationship that has encompassed a worm as well as a frog survey, and I still have the posters for those. My grandson has a lot of nature in store for him thanks to Nature Canada.” I hope others reading Linda’s story today will also consider taking time to get outside to walk hand-in- hand with your child or grandchild to show them all the critters and excitement in nature. Linda tells me: “I am trying to impart my life-long love of Nature to my three year old grandson. He has a lust for knowledge and I have a wealth of natural history and many aspects of nature lore to pass on to him as my own mother did to me. It is indeed unfortunate that my mother is not alive to know the joy of her great grandson, but her knowledge and love of all things natural is alive in me and he will know her through me. He is well on his way to falling in love with Nature, not an easy task growing up in Toronto, but, as the saying goes, love will conquer all” If you would like to get a copy of the lady beetle poster by email or want to learn more about becoming involved with NatureWatch please visit our website to learn more. [separator headline="h3" title="Understanding the Environment Around Us"] As many of you know, these past few months we have been encouraging you to get out in nature and become a citizen scientist! 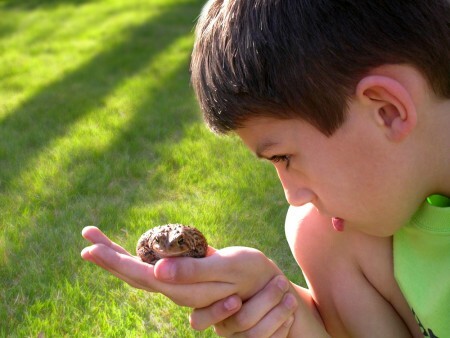 With Summer comes the opportunity to go outside and monitor the plants, worms, and frogs found in your neighbourhood! Nature Canada has the opportunity for you to do this through the NatureWatch programs. 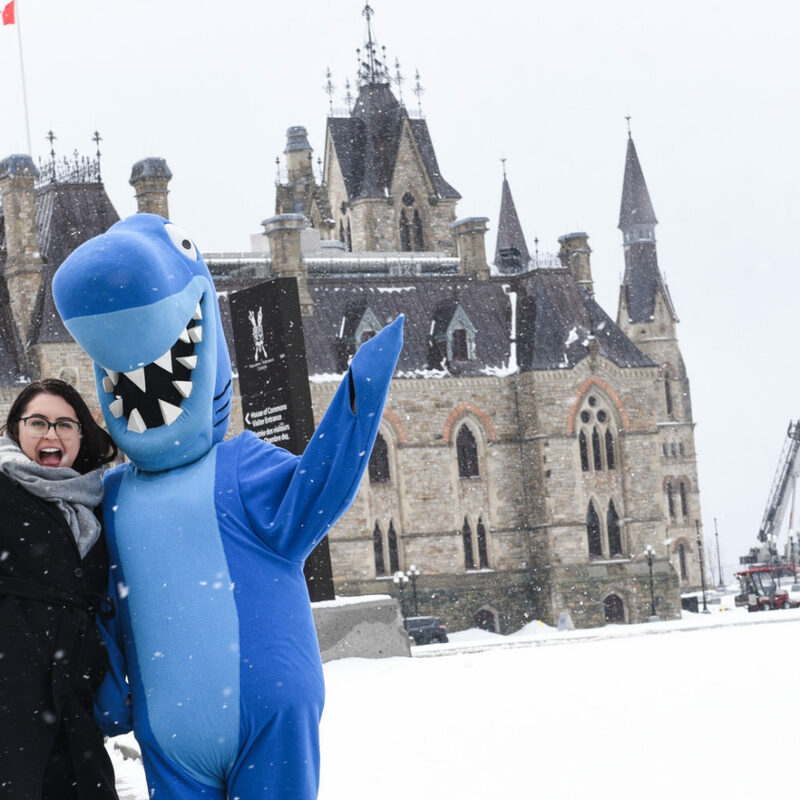 These NatureWatch programs help scientist record data on the species in your neighbourhood and this then helps them understand the different effects climate change is having on them! With PlantWatch, scientists use the data you collect to see the trends with plants blooming. In FrogWatch, the data collected is used to help scientist understand the health of the environment. WormWatch also helps scientist learn more about the biodiversity in the soil around your home. These three programs are very important in monitoring and understanding the environment around us! When is the best time to start monitoring these various species? Right now! 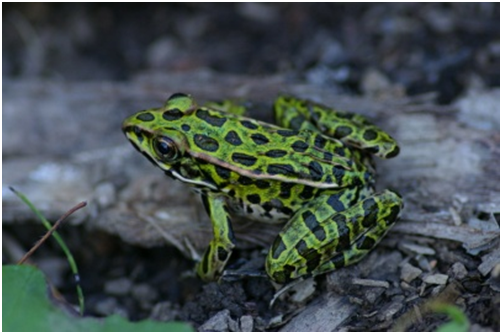 Frogs are most vocal in the spring time with their mating calls and this is the best time to track them! In spring, frogs can be found conducting these mating calls in ponds where they announce their territory and hopefully attract a female. As well, plants are starting to or already have bloomed, so they are ready to be recorded! 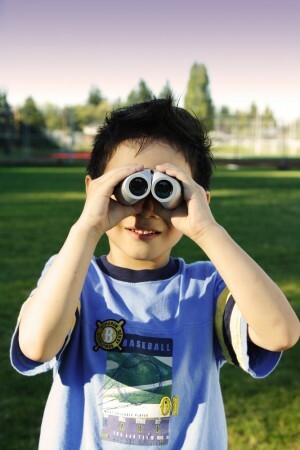 You can get involved with these great NatureWatch programs through our website! As well, you can participate in our other fantastic programs that get you involved with nature through your own backyard! This program is called YardMap and it allows you to map out all the components of your backyard. This data is put on a map along with other people’s recording so that more people, like researchers and scientists, can learn about the ecosystems in different communities! Make the most of your Summer by getting outside and enjoying nature!